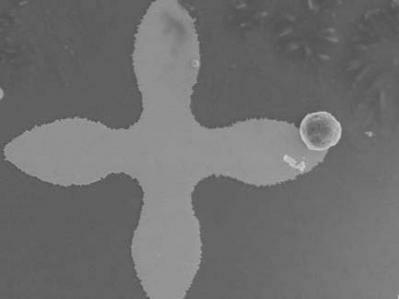 Researchers from the University of Michigan developed a new microfluidic chip based on Graphene Oxide that can capture tumor cells from blood and support their growth for further analysis. This device could be used for both cancer diagnosis and find the best test-treatment options, without biopsies. The researchers estimate that such chips could reach clinics within 3 years. Circulating tumor cells may be crucial for new early cancer diagnosis technologies. The researchers call this "liquid biopsy". This diagnosis may also help researchers understand the basic biologic mechanisms by which cancer cells metastasize or spread to distant organs, which is the major cause of death in cancer patients. The problem with those circulating cells is that it is very difficult to separate them from blood samples. In early-stage cancer, they account for for less than one in every billion cells, and they almost look like and feel like any other blood cell. Even after you capture a few cells, it's hard to analysis them and this is way further growth outside the blood is required. The new chip has a silicon base, and on top of it are almost 60,000 tiny gold shapes - each looking like a four-petaled flower. The researchers coated those gold flowers with graphene oxide (GO). This GO captures cancer cells. 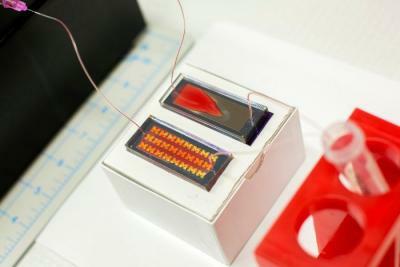 It is possible to use this chip to capture pancreatic, breast and lung cancer cells from patient samples. Graphene based cancer treatment and diagnosis is very promising. Just a couple of weeks ago we reported that Grafoid and ProScan Rx Pharma are set to develop graphene-based precise targeting and thermal eradication of solid cancer tumors. Back in 2010, researchers developed a graphene-oxide based fast, ultra-sensitive, and selective detection early-stage cancer. Later in 2010, a new drug delivery system based on Graphene Oxide was developed.